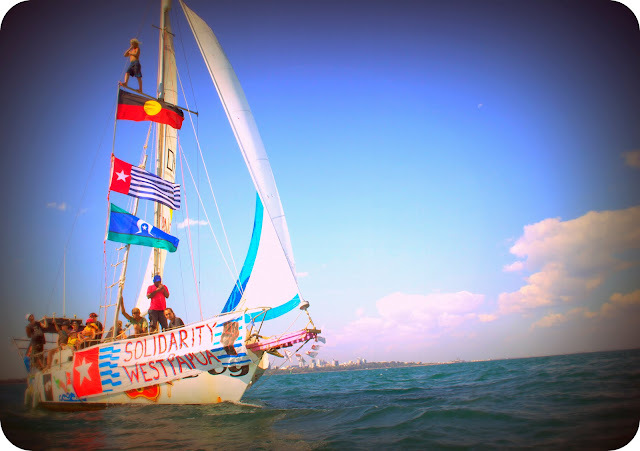 CAIRNS (AUSTRALIA) - After a 5000 km journey across land from Lake Eyre, the Australian and West Papuan activists are set to sail to territory of West Papua without permission. The sail starter from Cairns Yacht Club Boatshed, Marlin Marina, on 15 Agustus 2013, at 10 pm. The "peace mission" has united Aboriginal and Papuan activists in support of the West Papuan independence struggle and will see 15 sailors leave on Saturday in a "freedom flotilla" of two yachts headed for the town of Merauke.